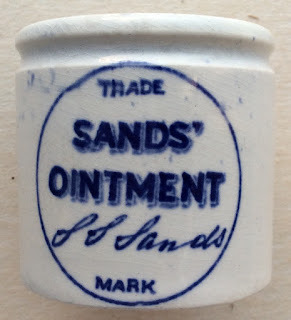 Two variations of this ointment pot exist for this company, both bearing the owners signature trade mark. 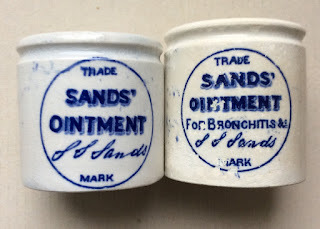 The pots carry a blue print transfer and can be found in two slightly different sizes. 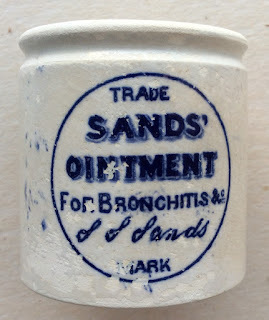 One variation includes the words 'for Bronchitis & c.' and the other variation omits this wording. book produced by Messrs. Houghton & Priestley, page 121.